The Legal Affairs Committee (JURI) votes on „Proposal for a recommendation on subsidiarity on the proposal for a Directive of the European Parliament and of the Council amending Council Directive 91/477/EEC on control of the acquisition and possession of weapons“ on 24 May. See point 24 in this link. 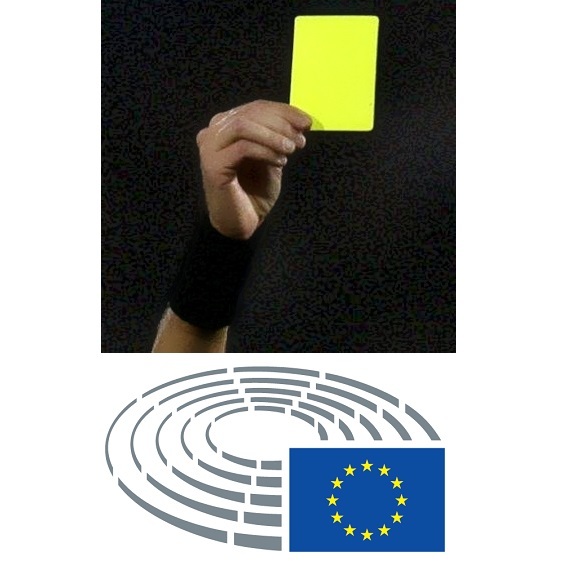 Read more: THE EU’S ‚YELLOW CARD‘ COMES OF AGE: SUBSIDIARITY UNBOUND? First, stakeholders will be able to express their views over the entire lifecycle of a policy.„Roadmaps“ and „inception impact assessments“ will give stakeholders the chance to provide feedback and prompt them for relevant information, right from the very start of work on a new initiative. Cynically using the Paris November attacks as a pretext for urgent action in „combating terrorism“, the Commission did away with the stakeholder’s consultation that usually takes four weeks. It used the same excuse to avoid calling for an impact assessment. For further information you may read our „Answers to IMCO“ and our „Answer to the Council“ regarding proposal. FIREARMS UNITED represents authorised firearms owners in nearly all Member States, together with our „national chapters“ or partners. Some of the latter are listed in the Transparency Register of the EU. We also initiated a petition against this proposal with more than 320.000 signatures.